Keds and Kate Spade New York’s latest footwear collaboration is here to solve your number one wedding day problem! The new collaboration is the perfect union of ease and glamour for everything from the bridal shower to bridesmaids’ gifts to walking down the aisle to happily ever after, who says you have to sacrifice style for comfort? There’s no better way to walk down the aisle than in these elegant sneakers, you get the height without the heel, plus the styles are versatile so you can keep wearing them well after the big day. 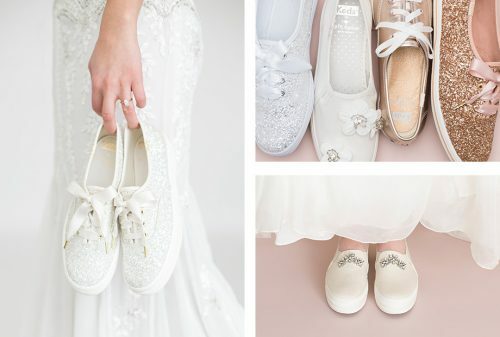 Shop the full wedding collection over at Keds.com. Shipping within the US is FREE, so sign up with us and pay as low as HK$22/lb for delivery straight to your home town!